Online sellers who are truly making the most of the global marketplace and the cross-border opportunity should see some 40% of their orders coming from abroad and just 60% from the domestic market. Take ASOS as an example: a UK retailer that has become a global business with over 60% of its business coming from abroad. ASOS got it right thanks to offering a fully localized buying experience to their key international markets. So start selling internationally if you haven’t already! 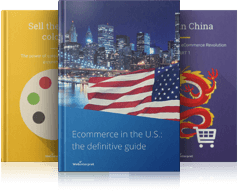 Articles from this section will help you prepare your online store for global sales or optimize your current strategies to maximize your sales potential. Webinterpret will share with you facts, stats and knowledge based on proven data and expert advice.